If your a local business and service just Norther Nevada, please contact me for a custom monthly service quote. Let’s face it – Search Engine Optimization has changed. Consider that back in 2011, anyone could put up a single keyword stuffed doorway page and drive rankings upward quickly. Then, a few years later, best practice shifted to combination SEO packages composed largely of Meta data, solid content with links. Today, while great content, precise Meta data and the right links matter, they do not rival the importance of what I uniquely call Thematic Optimization™ and Information Architecture Optimization™. Why? Because Google maintains its dominance into the future by providing a rainbow of relevant, but sufficiently diversified selections for each key phrase searched. This means the more varied, credible but relevant choices Google provides the searcher, the better and more meaningful the experience. Therefore, the more one leverages proprietary Thematic Optimization™ and Information Architecture™ methodologies, the more powerfully they can dominate in the SERPS, because of the value it provides with precision to Google for your SEO Packages. I incorporate your brand across numerous platforms across the internet and integrate you site socially, through blogging, and in relevant professional networks. I also will completely overhaul your site if needed, to make sure your HTML tags, xml sitemaps, and Google Search Console (amongst other important inter site functions) are up to the standards set by the most recent Google updates. These under the surface tune-ups can totally drive your site in the right direction quickly. 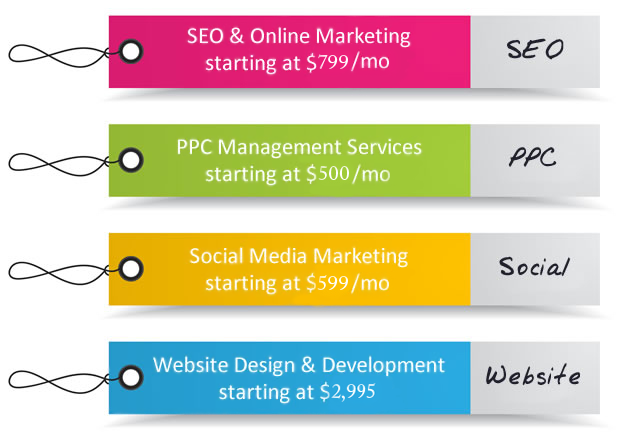 Contact me today to discuss the wealth of features offered in my SEO packages and decide which one is best to take your company to the next level with our SEO Packages ! We’ve used Jeff since 2008 and honestly have tried a few SEO companies in-between just to see if the grass is greener. Nope – can’t find better than Jeff Garner’s SEO results! Chuck V. The Perfect Pear Designs – CA.